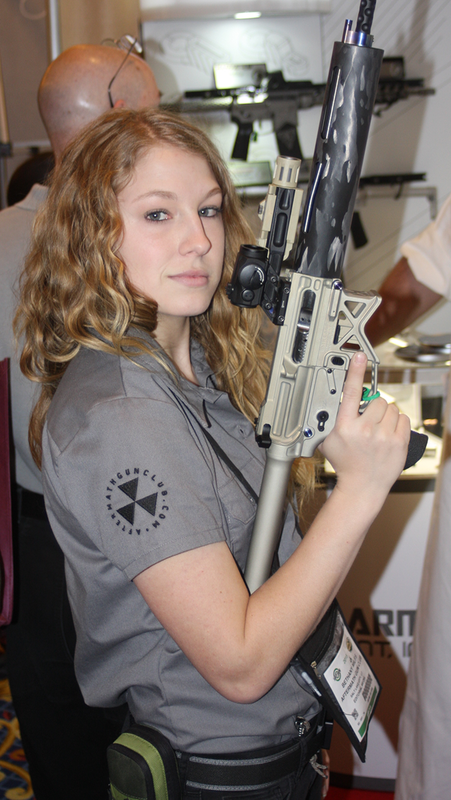 Here are a few more photos of GunDoll at SHOT Show 2015 worth sharing. View parts 1 & 3. The B&T APC45 from Switzerland. 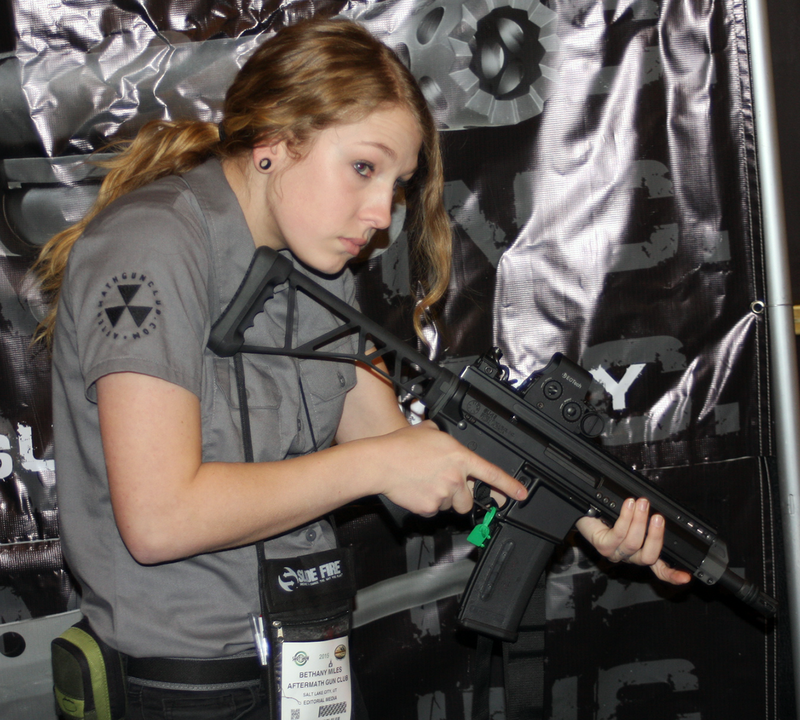 A 5.5 lb AR15 from Battle Arms Development. 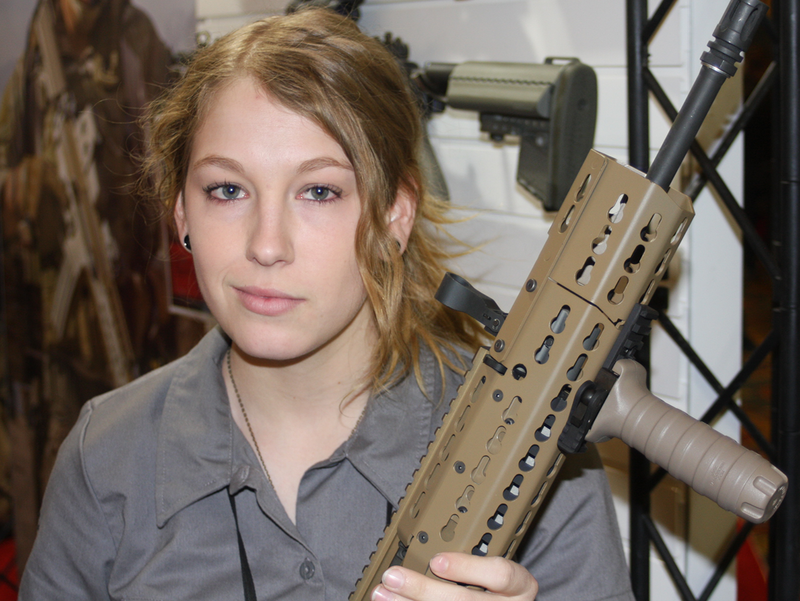 Christensen Arms KeyMod handguards. Like us, Christensen is also based out of Utah. 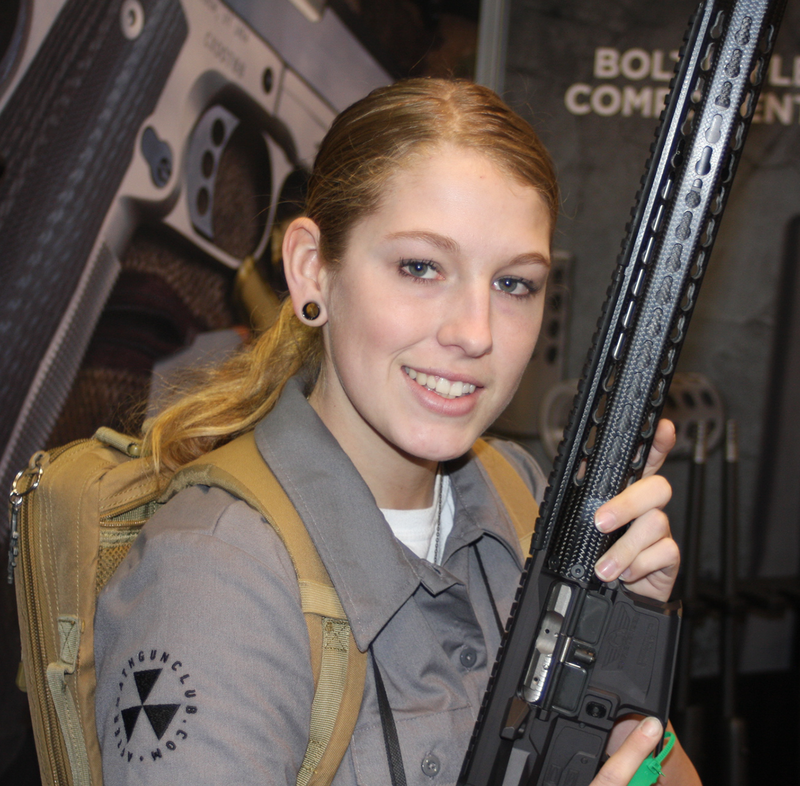 CMMG‘s Mutant has made a lot of buzz, this is the 7.62x39mm Mk47. 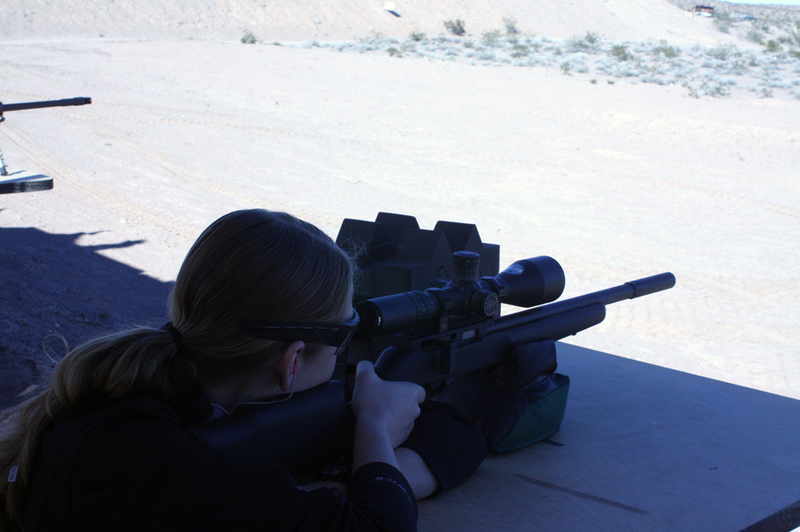 Dead Air Armament was at Media Day at the Range with their Sandman series and .22LR Mask silencers. 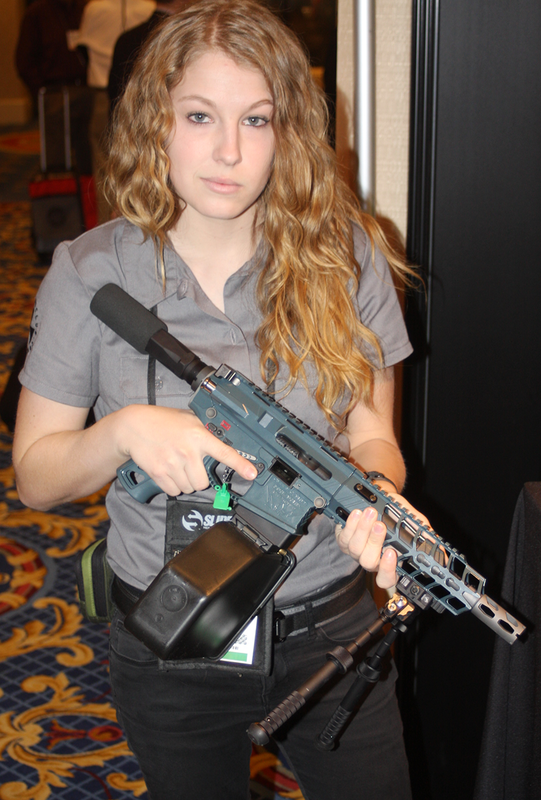 Jessie James got into firearms a few years ago, here is a little over-done belt-fed pistol. 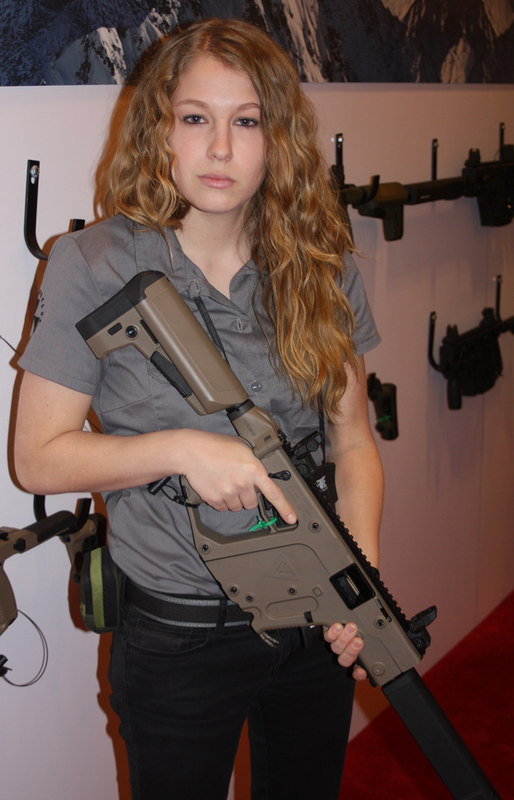 Kriss Vector Gen.II with AR type stock; hopefully the 9mm conversions aren’t too far away. 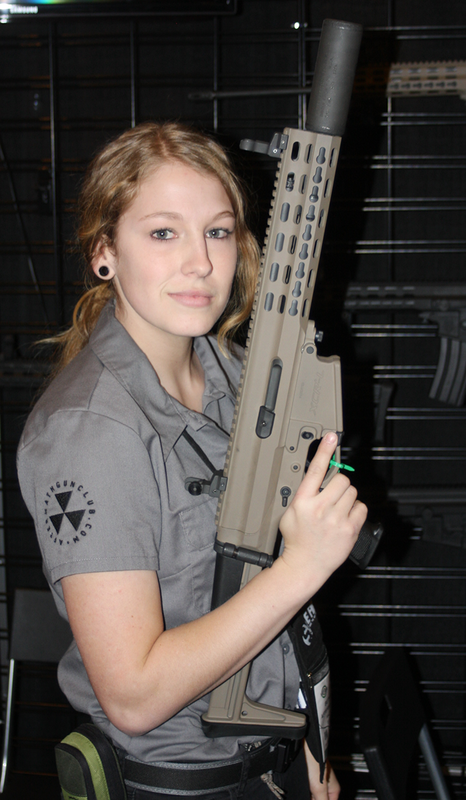 Here GunDoll is holding a short XCR with a new low profile gas system by Robinson Armament. 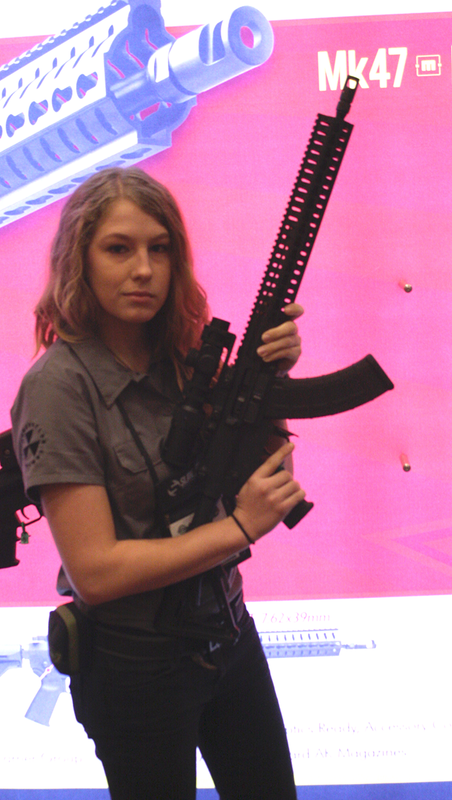 Serbu‘s SU-15 will be released soon, as a complete pistol, SBR, carbine, or AR15 conversion. 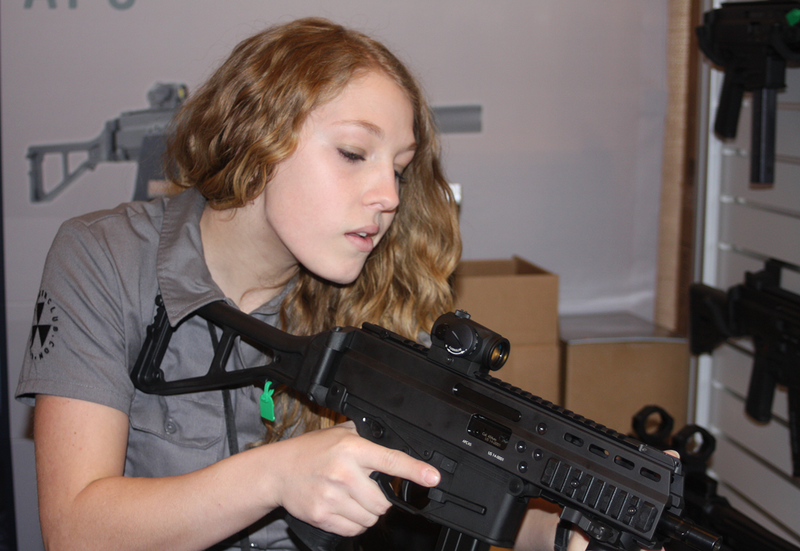 Spuhr handguards for the MP5, with an Aimpoint mount and an H&K rail in the white. 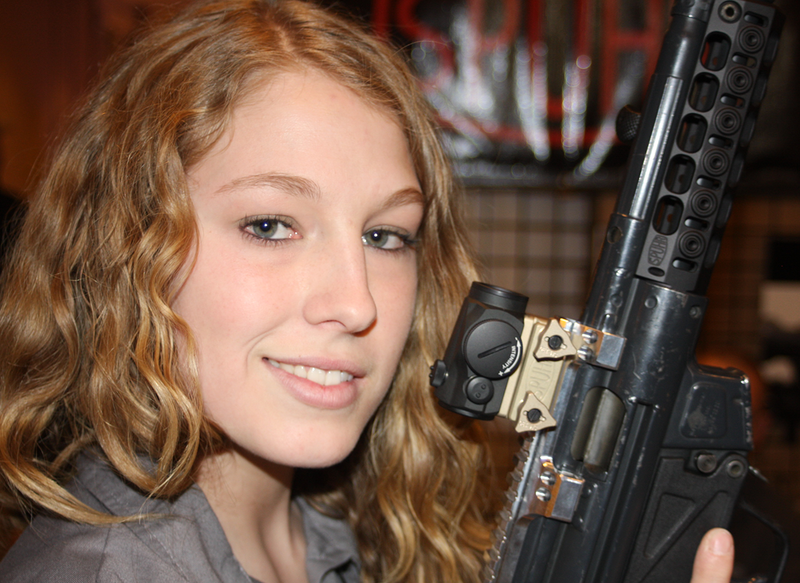 The guys that first brough KeyMod to market, VLTOR has their SCAR handguards available with KeyMod or picatinny.